We want to see your makes adorned with spring flowers. using a Tim technique or product. They don't have to be actual spring flowers but let's see the colours of spring! 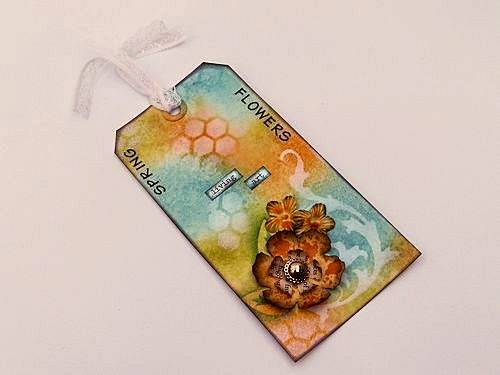 For this challenge I have made a tag hanging incorporating a number of handmade flowers using the Tattered Florals Die and some tiny rolled roses from punched circles. Please visit me at Live the Dream for links to tutorials for both these flowers and details of how I made the tag and hanging. My make today is a vibrant tag made with the colours of spring using Tim's inks, a mask, layering stencil and, of course his Tattered florals die. 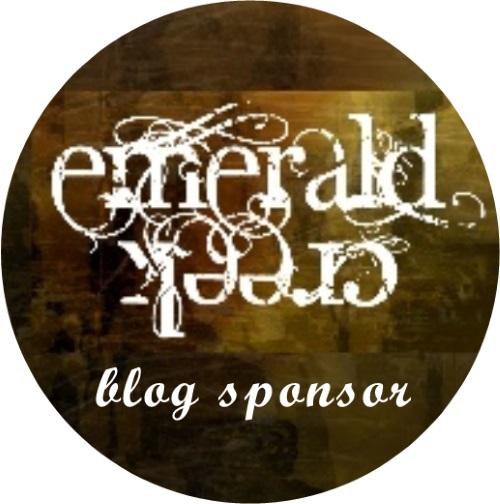 Details of how and what are listed on my own blog. 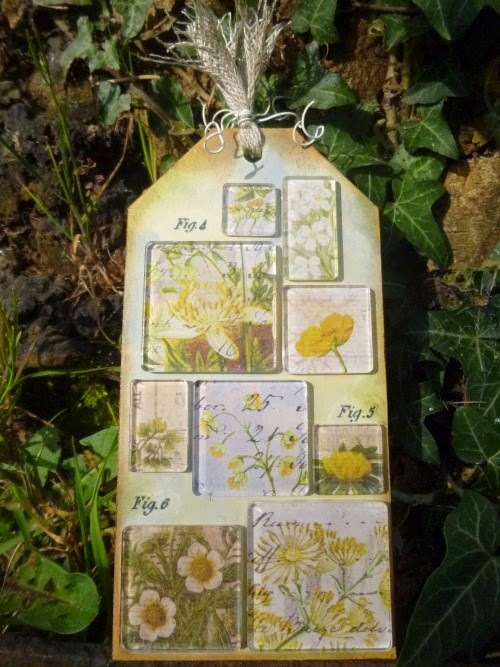 Jennie's lovely challenge was just the spur I needed to stop stroking my new Wallflower papers and actually use them! I patchworked Fragments onto a wooden tag, with a Distress Paint background, like lots of botanical samples under microscope slides. Hop over to Words and Pictures if you want to know what's on the back! 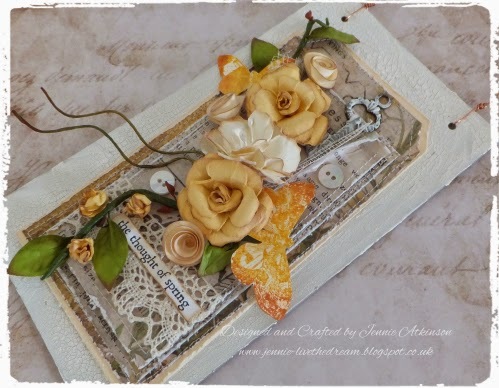 When I saw Jennie's challenge I was filled with trepidation as Jennie is the Queen of handmade flowers! I used Tim's Tattered Floral die to make some pretty blue cornflowers, one of my favourite Spring flowers. If you would like to see how to make them please visit my blog Redanne. Linking to the theme I used the Wallflower paper stash and made my Spring coloured flowers using the Tattered Garland strip die and distress paints. 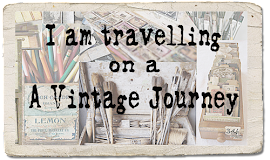 What fabulous projects from our Creative Guides which I hope will inspire you to play along. We are all looking forward to seeing what you make and remember one lucky person chosen by the team will be our winner and will receive a £10 token from Countryview Crafts. Before entering your project, please make sure you have read the Travelling Instructions, for if you don't you will not be eligible for the prize!! And if you want us to come and see your project and leave a comment, we will really appreciate it if you switch off word verification!! What fabulous spring flowers from all of the team!! Smashing projects girls, they all look wonderful, each so different, but all inspiring!! Lovely creations and sure to inspire a bouquet of spring around the world! Love them all! Gorgeous creations, so much Tim inspiration! 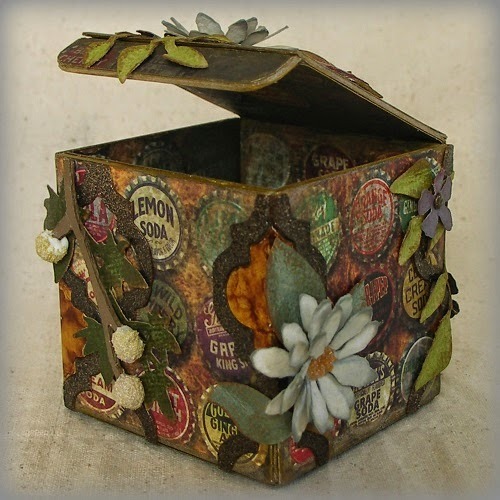 lots of lovely examples from the DT.... tis the only challenge blog I actually look forward to in advance as none of my DT' people sell Tim Holtz so they dont want me making too many examples featuring his super supplies. I get to let my hair down (metaphorically) on this and get all my Holtz related stash out to play. so glad you started this (and with such an inspiring team). happy bunny here is considering having another go at it. I love it when a new challenge begins because seeing the DT inspiration is like Christmas morning. 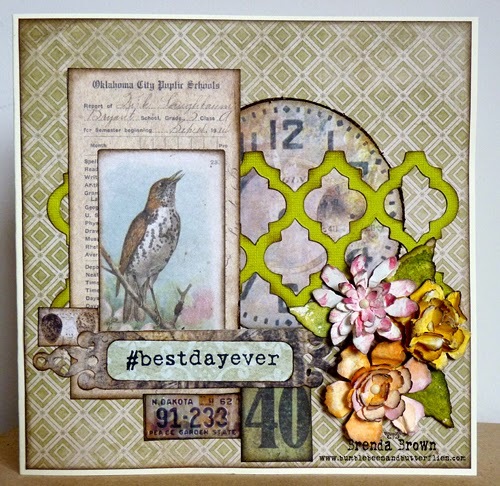 I'm having so much fun playing along with you and I love the gorgeous makes by the DT. Perfect timing for this challenge Jennie! Such beautiful projects from Jennie & the DT & the entries so far look wonderful. Sorry.. I came back AGAIN with a third project. I just happen to have had a long weekend of sunshine and relaxation so you have been bombarded. its such a nice theme so it has really inspired me to get crafting... I will pack it in now though lol. you will be sick of the sight of me. I'm excited to be joining in on your challenge - I'm new to mixed media and have been inspired by your DT samples! 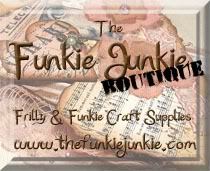 Our latest Guest Creative Guide……..